Deepen your connection with Tibetan culture and nature by upgrading your Tibet Tour! Tibet Travel Expert (www.tibetctrip.com) discusses here some ideas for Tibet tour upgrades in 2018. For those looking to deepen their connection with nature and culture on their Tibet tour, Tibet Travel Expert (www.tibetctrip.com) offers upgrades to their existing Tibet tours. Now travelers can add on an extra day or two or more to include all of Tibet’s classic destinations. 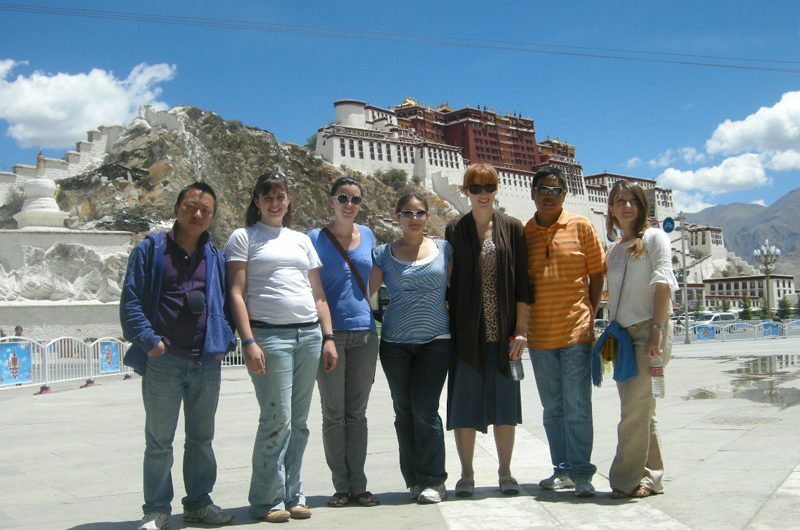 Using Family Vacation Touring Lhasa Tibet-Lhasa City Culture Tour as a sample, travel groups can customize their Tibet tour to include the destinations that fascinate them the most. Tibet Ctrip will assist travellers with the additional planning and can offer suggestions on how travelers can become more acquainted with the natural scenery and people of Tibet. There are numerous options for experiencing culture on your Tibet tour. To learn about Tibetan Buddhism visit Ganden or Samye Monastery. For the adventurous, it is even possible to trek between the two! Ganden Monastery and Samye Monastery are among the “great three” monasteries in Tibet (the other is Drepung Monastery). A day’s excrusion can take you easily to Ganden or Samye from Lhasa. Also, a visit to the Yarlung Valley is certainly a worthwhile addition to any Tibet tour. The Yarlung Valley is the cradle of Tibetan civilization. Legend says that this is where the first Tibetan people originated and where Tibet’s first palace, Yungbulakang Palace, was built high atop a hill overlooking the Yarlung Valley. Yungbulakang still stands today and is said to be over 2000 years old and is where Tibetan Buddhism was handed down from the sky. Travelers can hike up to the palace or ride a horse for a small fee. With endless mountain vistas and alpine lakes, one could spend a lifetime immersing their self in the scenery. Witness life in the countryside on one of Tibet’s famous treks, or visit a meditation cave to get more in touch with your inner self. Travelers can stay overnight at nomad tent at Everest Base Camp, visit Mt. Kailash, or enjoy some of the lesser-known and more challenging adventures such as the trek through Kharta Valley. The distances between these places in Tibet are vast, traveling between each destination is an unique experience itself. Don’t hesitate to ask the driver to stop for photos along the way! Spending some extra time with Tibet’s people to learn about their culture can turn a tour into an enriching experience. The memory of it will stick with you for the rest of your live. A native Tibetan guide is an essential resource for this kind of adventure; they are able to provide a context for understanding local culture and natural scenery, so make sure to ask questions along the way! With all the options for travel in Tibet, upgrading your Tibet tour is the key to maximizing its value. For the more up-to-date information, contact Tibet Travel Expert (www.tibetctrip.com or [email protected]).